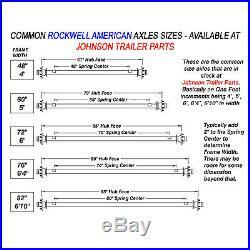 (89 Hubface 74 Spring Center) Axle Size is Needed for Model 14HD Trailer Plans (Blueprints). 2 - 6,000 lb Axles w/Brakes, Hubs, Bearings, Lugs & Nuts 1 - Tandem Hanger Kit for Double Eye Springs, 3.5-7K, Boxed 2 - U-Bolt Kits : Round U-Bolts w/Plates, Washers & Nuts, Boxed 2.375"x5.5"x. 5"-20 4 - Double Eye Springs, 1.75", 3.3K, 6 Leaf, 25.25" I To I, 3" Arch. 5625" Eye 1 - A-Frame Coupler For 2-5/16" Ball, 12.5K Cap, Low Latch 1 - Safety Chain w/2 Hooks, 7.6K Cap. Please call for more details, Thank you. The drawing of the trailer shown in our photos is just an example of the trailer this kit is designed for, The trailer is not included, Just the parts kit. 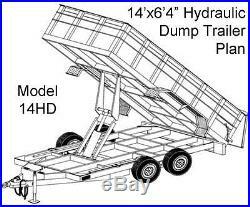 Blueprints for Hydraulic Dump Trailer Parts Kit - Model 14HD Hydraulic Deluxe. 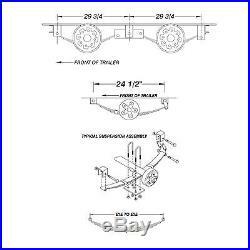 64 x 14 Hydraulic Dump Trailer Plans Blueprints Model 14HD. 28 Easy Step by Step Instructions & Cut List, Welding Tips, Full Sized Blueprints (24"x36"), Engineered Approved , Suitable for High School Shop Classes, Industry, and Do-It-Yourselfers. 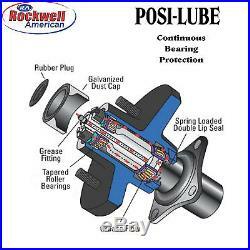 Features : 2-5/16 ball coupler, top wind jack, tandem 6,000 lb axles w/ leaf spring suspension, or torsion option. Hydraulic power package: 12 volt DC motor and a 2,000 psi pump, Hydraulic Scissor Lift. The item "Hydraulic Dump Trailer Parts Kit Tandem Electric Brake Axles Model 14HD HD" is in sale since Friday, May 13, 2016. This item is in the category "Business & Industrial\Heavy Equipment\Trailers". 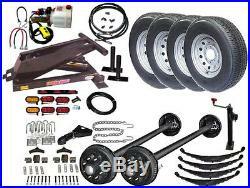 The seller is "johnsontrailerparts1911" and is located in Aurora, Colorado. This item can be shipped to United States.